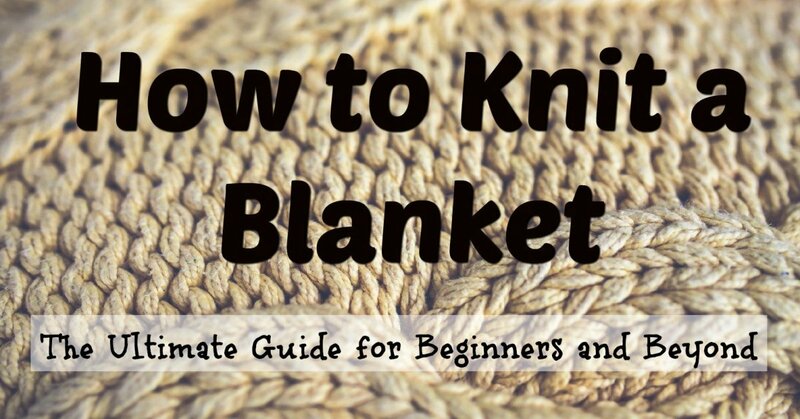 Blankets are one of my favorite things to knit because nothing beats a homemade blanket. I used to be rather addicted to making scarves, but then my granddaughter was born and I began looming blankets instead. I hope you enjoy these patterns and ideas. If you've never made a loomed blanket before, you may find it interesting that they are often made by stitching together several panels of flat knit. 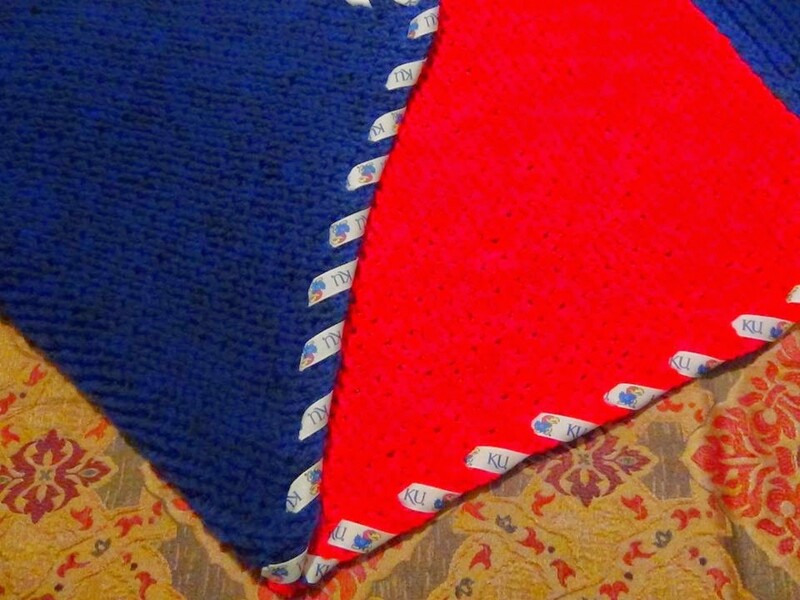 You can make blankets on either the long or round looms. If you want double panel knit, which is thicker, you'll need a long loom. But the round looms work well if you are happy with a lighter single panel knit. 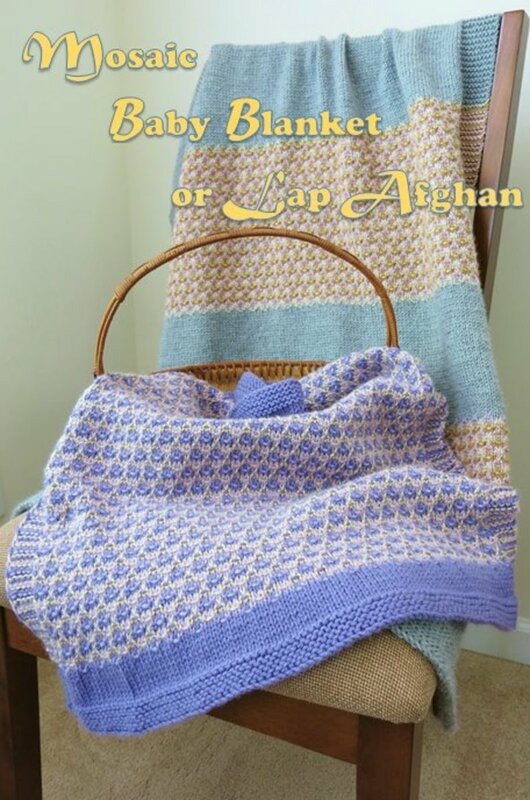 Enjoy browsing the collection of blanket and afghan patterns specifically for the Knifty Knitter brand looms. 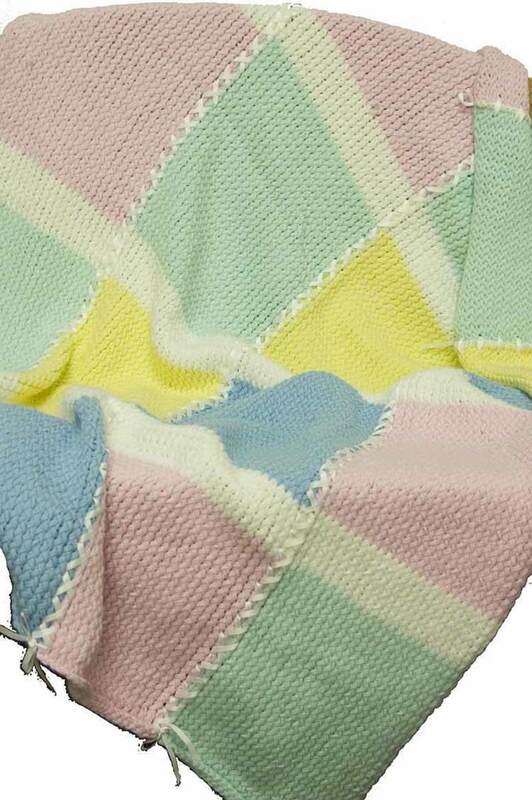 This baby blanket is knitted using the Knifty Knitter brand blue long loom. It is knitted as a single flat panel. To knit a single flat panel, you reverse the direction that you are wrapping as you reach each end of the loom. The blanket calls for 100 knitted rows. 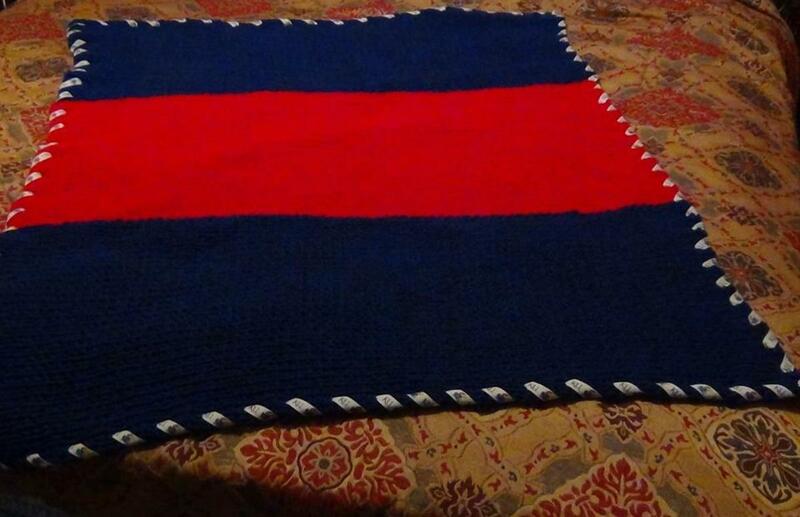 The finished blanket will measure 27 x 27 inches. 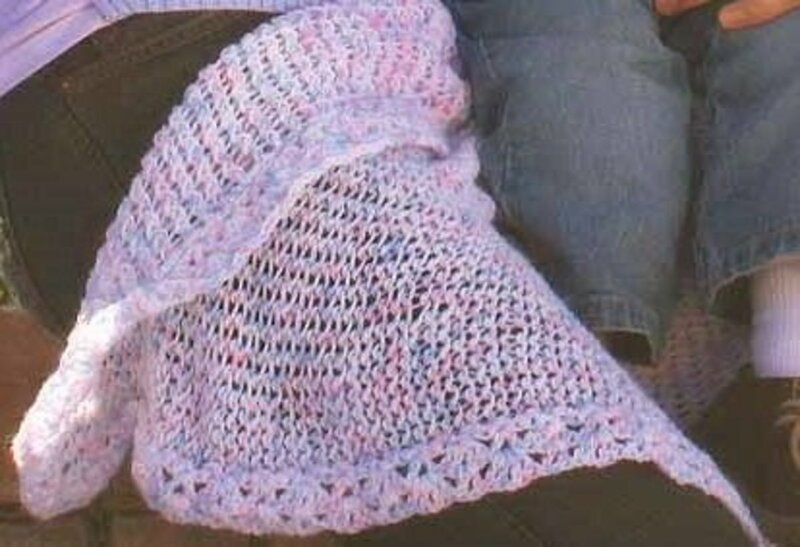 Crochet skills are required to add the shell edging to the outside of the blanket. This shell-stitched edging is important, as it prevents the single panel flat knit used to make this blanket from rolling. 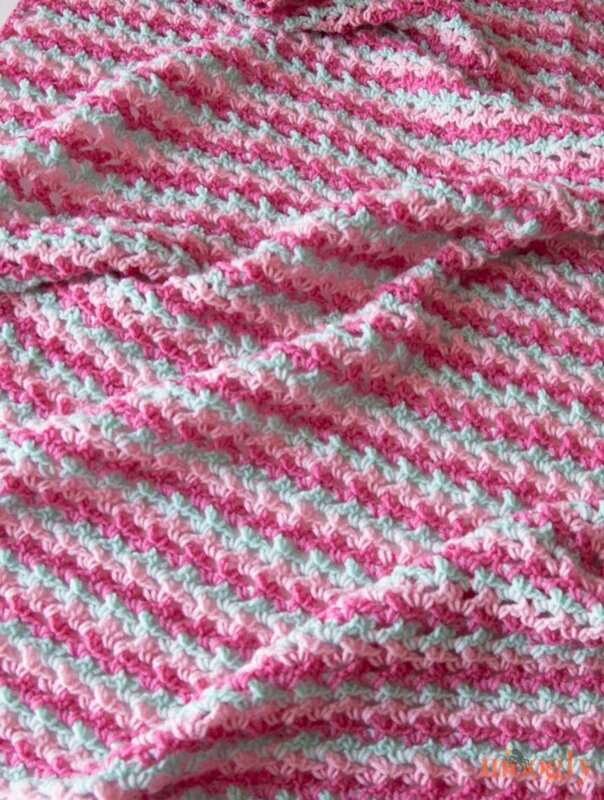 This blanket pattern uses the red round loom. 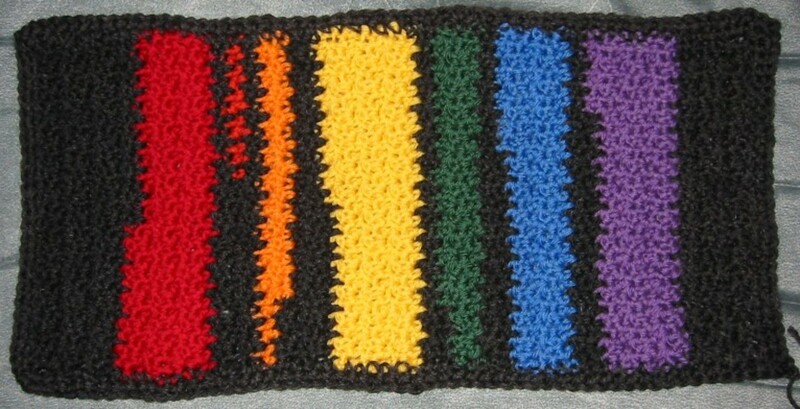 It's knitted by making several long panels that are pink, blue, yellow and green with a white border between each color. When you have several panels knitted, sew them together with the mattress stitch. A thin ribbon is sewn in over each seam. Whip stitch the ribbon going one direction, then reverse and whip stitch the other direction to create the crisscross appearance. This baby blanket is also suitable for a toddler or small child. It is done on the long blue loom. Two panels are created and sewn together to make a larger 3 x 3 feet baby blanket. 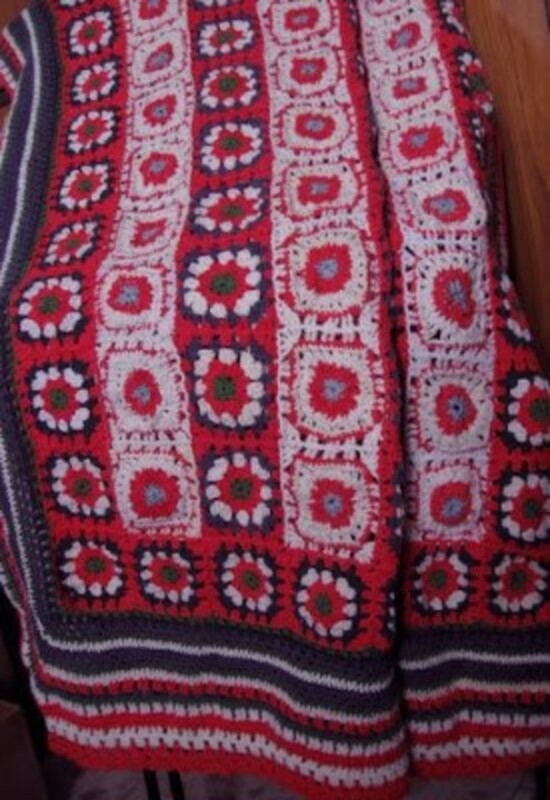 The "fashion stitch" was used to create this blanket. After sewing the panels together, a ribbon was whipped around the edges. 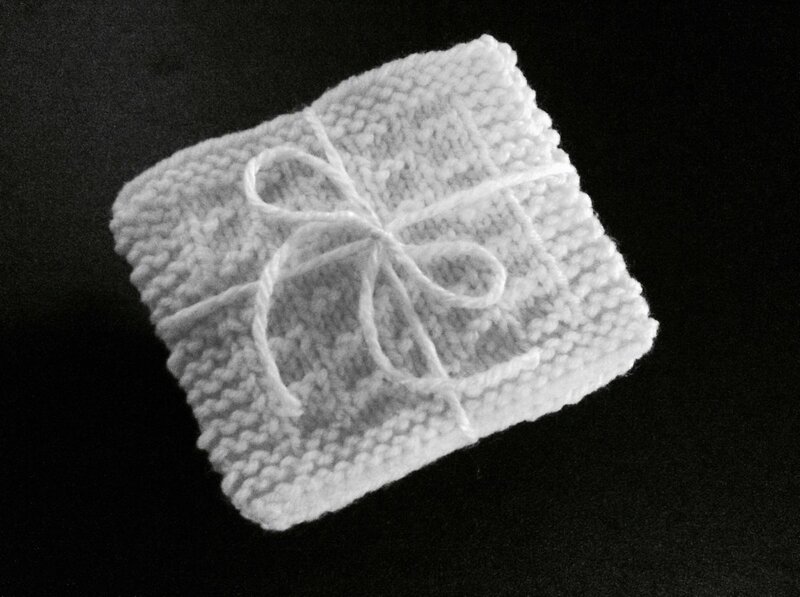 Snugly and soft, this makes a great gift for your favorite baby, or for yourself. 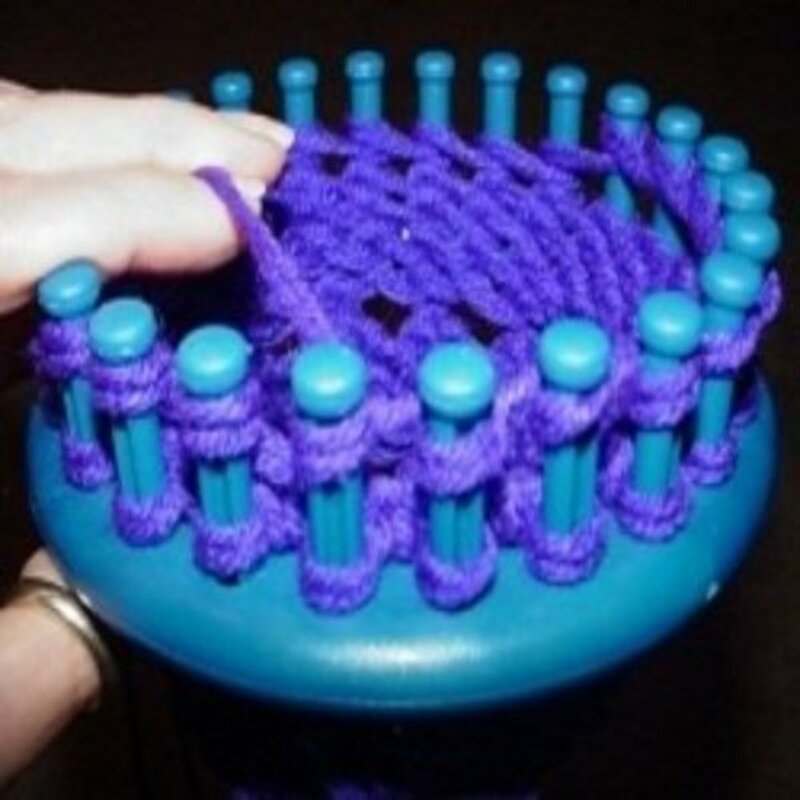 Granny squares on a loom? Yes, it's possible. Brenda's blog has instructions to make these "baby gran squares," or afghan squares on the Knifty Knitter looms. Use the flower loom (12 pegs) for smaller squares, or the blue loom (24 pegs) for larger squares. The "granny square afghan" in the photo has a crocheted border around the edge, so crochet skills will be necessary for this project. The big monster blanket: I made this big monster blanket last winter for my son. 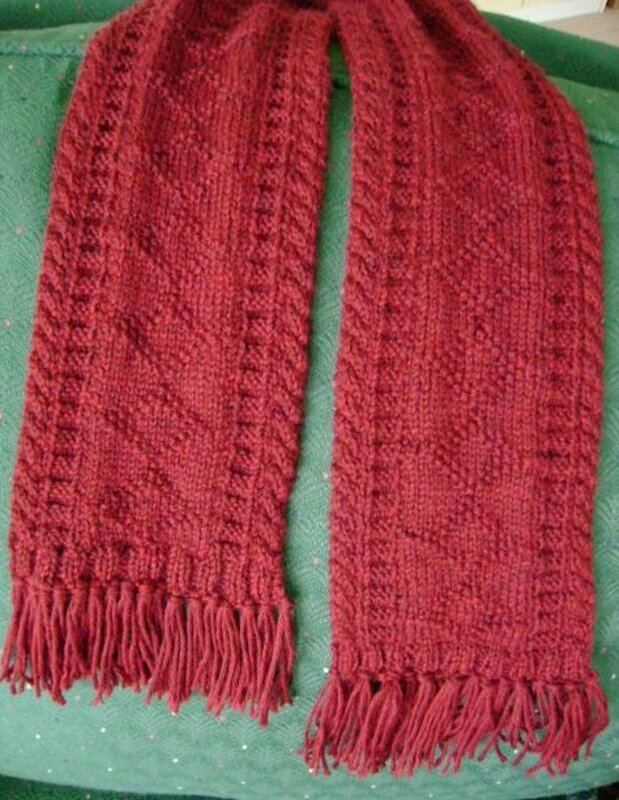 It is knitted using the fashion stitch on the blue long loom. It is three long panels of 400 rows each. The panels are sewn together using the mattress stitch. This will keep your favorite sports fan warm for years. 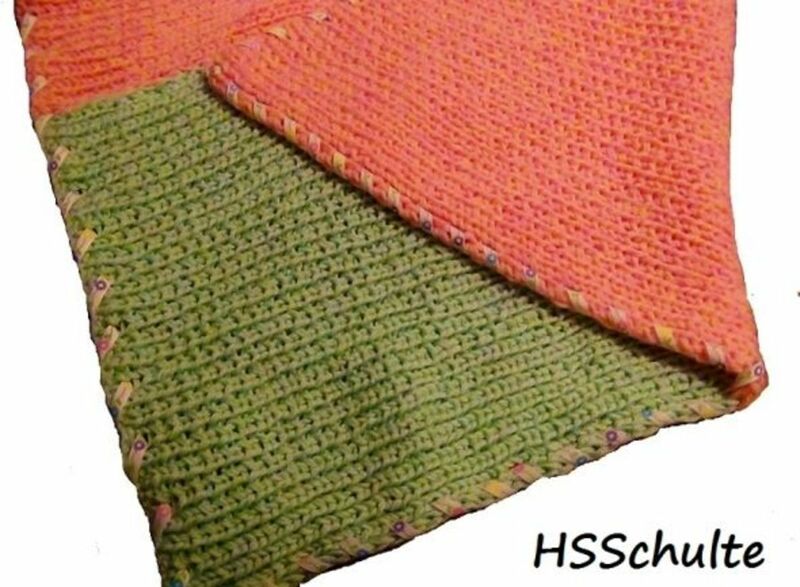 I added this video because this is the quickest and easiest stitch for making a blanket. 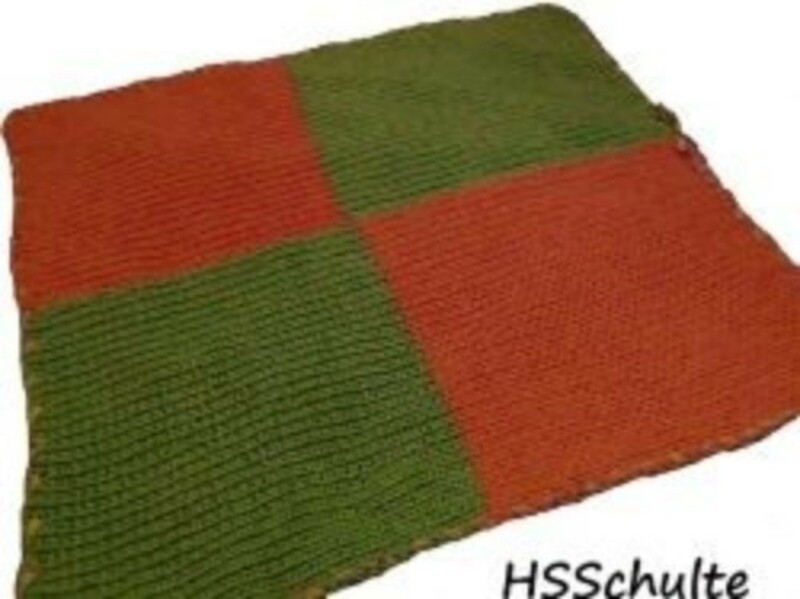 It's my favorite and I've used it to make many blankets on the blue loom. Do you have a reason that isn't listed here? If so, leave a note at the bottom of this page. I am expecting or I know someone who is expecting a baby. I like to keep my hands busy while I'm waiting or watching television. I want to make something handmade for a very special person. I am making it as a charitable donation. I am cold and I want a new afghan. I make them to relax. I like to show off my talents by making something big. I am putting off doing the housework. Procrastination can be fun. My mother and grandmother made them also. I learned as a child. It's a craft that I enjoy and I can't imagine being without. It's in my blood. What else is there? It's my life. @anonymous: Hi Gail, Eight wrap the first row. Then use the fashion stitch for the rest. Happy looming! @nikki-wilsonpiggott: The link has been fixed. thanks! @hsschulte: Copy and paste the link into your browser. I have steps made for an afghan. I can not get a neat stitch to put them together. I need help. @anonymous: Hi Gail. You 8 wrap to cast on. You can cast on by simply wrapping the way that you do as you knit, but it makes a loose end that you will probably want to crochet to finish if you do this. It should link to a pattern on the Provo Craft website. Their website seems to be down right now. I will try to get it fixed tomorrow. Thanks for letting me know. The Baby Gran Squares afghan is my favorite! Very nice lens. I love the flag, how beautiful! Great lens! I was thinking of asking you about the variety of items that can be made with these looms -- I was thinking it'd be very limited. Before I got around to asking you, I found your Pinterest pins, and then arrived here. Beautiful. Is it hard to learn? Faster &amp; easier than normal knitting?